Where Can I Find Reply's Service Up/Downtime Stats? Sometimes you just need to know what's happening inside of Reply.io application. Luckily, there's a quick and easy way to find this out. 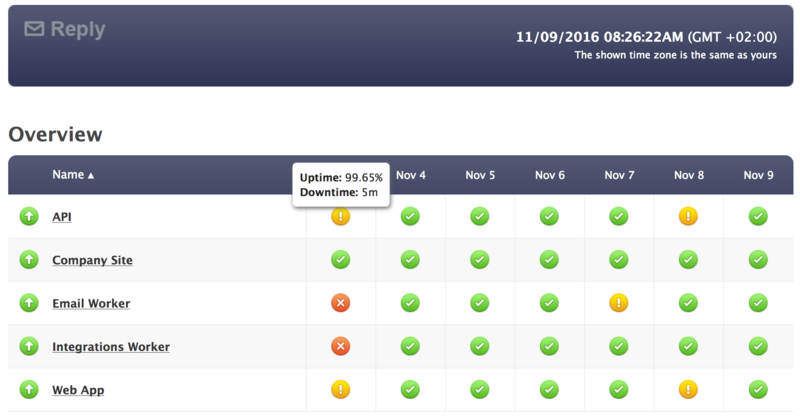 The service monitors the data automatically and updates it every 4 hours, displaying the stats for the last 7 days.